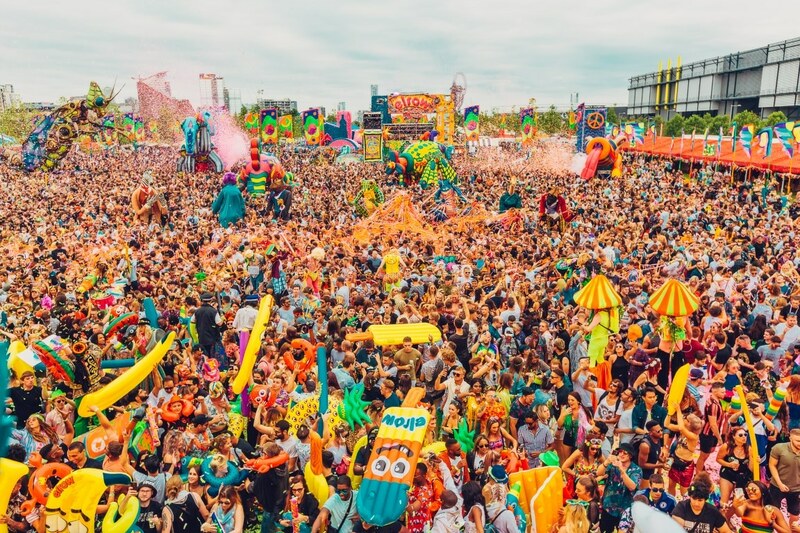 For strictly one day only,Trent Park will witness twice the fun as the biggest elrow show the world has ever seen by adding the wackiest town to the London map for the third year running. With a record number of dancers flocking to elrow parties across the globe year on year, it makes perfect sense for elrow Town London to strive for bigger and better, and the vast surroundings of Trent Park, with its lush greenery, jaw-dropping scale and picturesque woodland, promises exactly that. A fresh location enables more ambitious staging, bustling forest parties, queer dance troupe, wonky races, town trains snaking across the fields and even greater elrow extravagance. Set to unite die hard elrow regulars and those still uninitiated the madness. An array of over 200 characters will lead party-goers around their new home, with themes more immersive than ever before and unexpected games, inflatables and hidden delights lurking in every corner. It wouldn’t be an elrow party without some of the biggest names in electronic music sound-tracking the day and over 50 DJs will be on hand once again to deliver the most exciting house and techno anthems throughout, ensuring that elrow Town London ranks as one of the capital’s most vibrant summer highlights.